Savannah’s mild year-round climate makes it the ideal place to dine outdoors. Several restaurants enjoy prime locations directly on the water, including Bonna Bella Yacht Club Marina, a hidden gem tucked away in a residential neighborhood that offers tasty American- and Caribbean-influenced cuisine and panoramic views of the Country Club Creek, marsh and several neighboring islands. 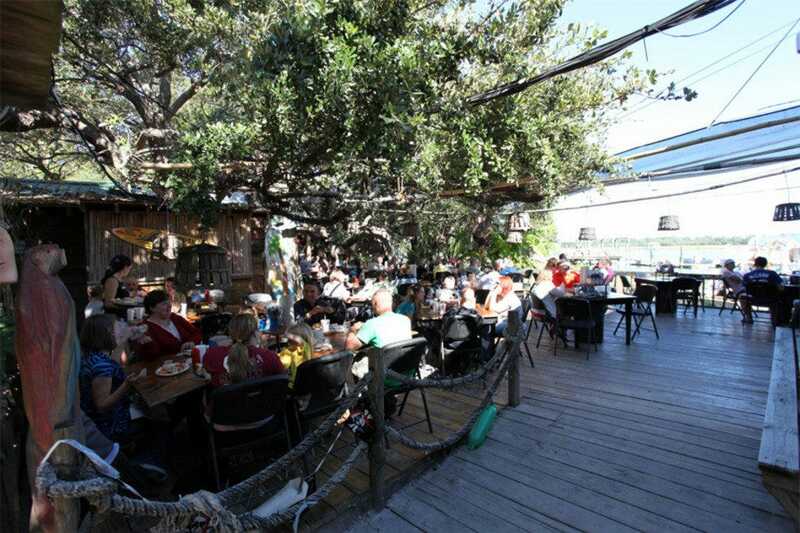 It’s no surprise that several restaurants on nearby Tybee Island offer outdoor dining. Favorites include the Crab Shack–which may win the prize for the largest outdoor dining space in the area–seafood restaurant A-J’s Dockside and the North Beach Bar and Grill, which is just a stone’s throw from the ocean. 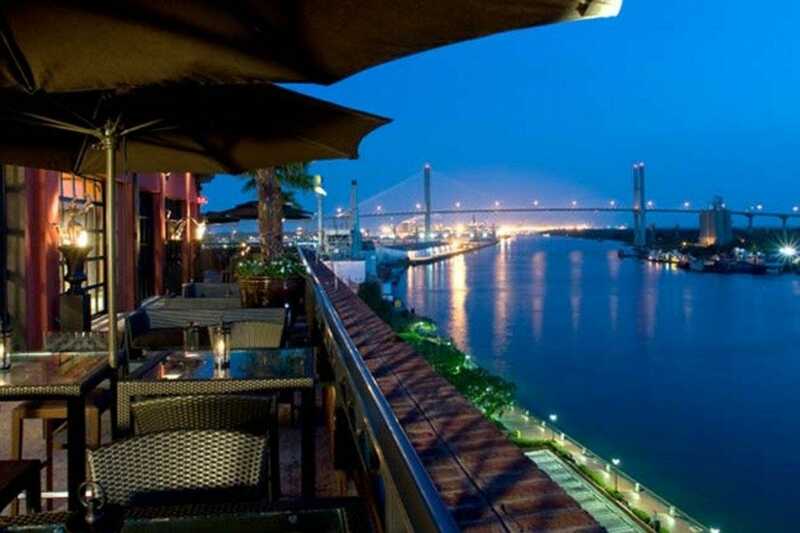 For those who prefer to stay in Savannah’s Historic District, there are several great choices, including Vinnie Van Go-Go’s, Vic’s on the River, B&D Burgers on Congress Street, Churchill’s Pub & Restaurant, Wild Wing Cafe, and Rocks on the Roof, a rooftop bar and eatery on top of River Street’s Bohemian Hotel. 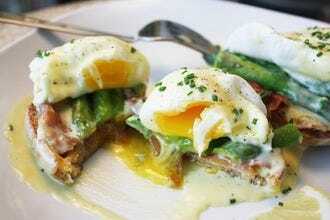 The Local 11 Ten, near Forsyth Park, offers several small plate selections at Perch, its rooftop bar and lounge. 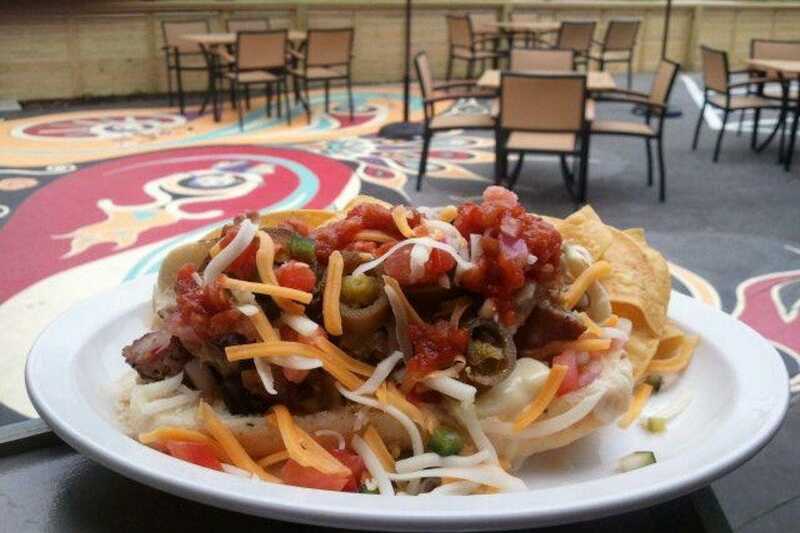 Blowin’ Smoke Southern Cantina, and Leoci’s Trattoria, which are both just outside the downtown area, offer spacious patios for those who want to dine outdoors. Sandfly, a popular neighborhood near Isle of Hope, also has several options for diners craving a little fresh air. Driftaway Café, an outstanding seafood restaurant, Italian eatery Fiore and Sandfly Bar-B-Q all have designated areas for outdoor dining. This hip indoor/outdoor eatery, located at Habersham and 33rd streets, lives up to its name, offering cantina-style food with a Southern twist. The restaurant's menu features sliders, tacos, soups, salads, sides and appetizers, along with a nice selection of margaritas, well drinks, beer and wine. The sliders and tacos are either $3 or $4 and packed with flavor, thanks to ingredients like pulled pork, barbecue brisket, spicy fried shrimp and blackened fish. Salads can be customized with a variety of meats, including grilled or fried shrimp, grilled chicken, pulled pork, smoked brisket, braised beef, fried tofu and a black bean cake. Sides run the gamut from Southern�collard greens and fried mac and cheese�to Tex-Mex�roasted corn salad and refried black beans. 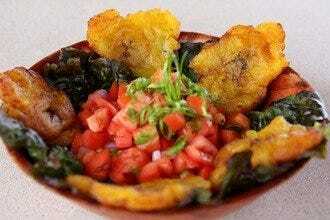 The cantina atmosphere makes Blowin' Smoke the perfect place for an intimate date or a large, lively group. This popular, locally owned burger joint, with additional locations on Broughton Street in the Historic District and Abercorn Street on the Southside, boasts an incredible outdoor patio with ample seating and a gigantic projection screen that shows all the big games. 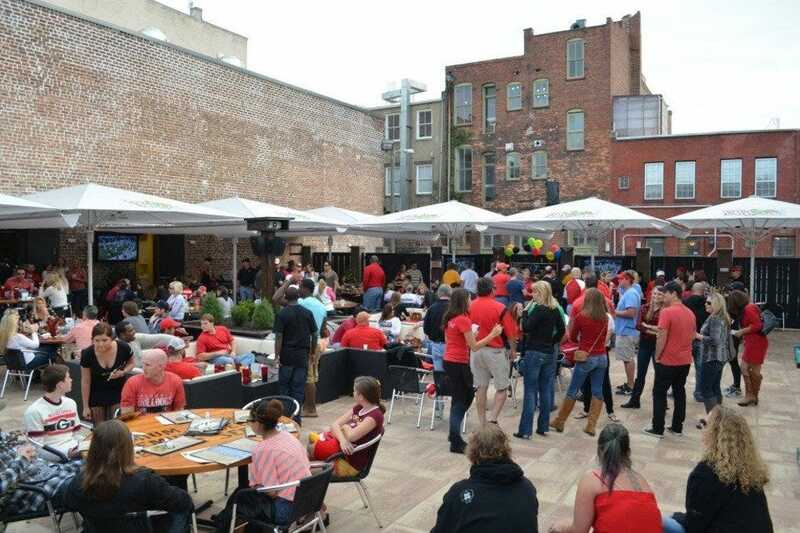 The patio is a big draw for those looking for late-night fun and always draws a big crowd. 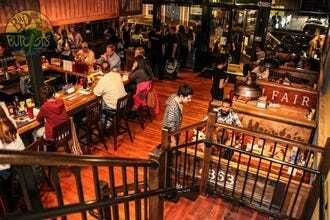 The restaurant's interior features two levels with a fully stocked bar on each floor. B&D's extensive menu includes appetizers, salads, sandwiches, hotdogs and an unbelievable selection of burgers. In addition to several creative choices, the restaurant also has a make-your-own-burger menu with 30 ingredients. 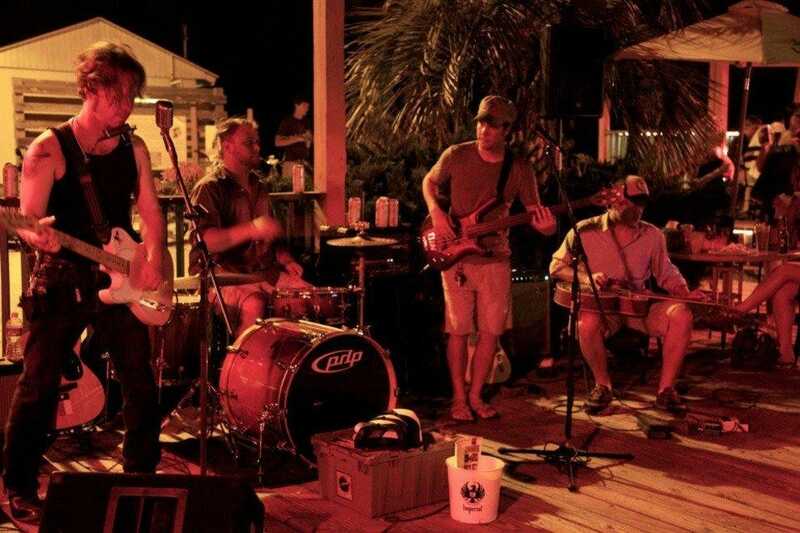 This beloved open-air restaurant and bar, with a prime location on Tybee's North Beach, serves up a variety of creatively prepared, Caribbean-influenced dishes. 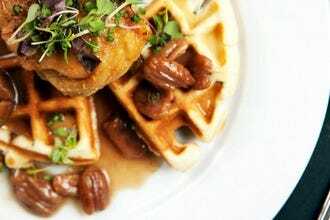 Favorites include fish tacos, jerk chicken, sweet potato fries, crab cakes and conch fritters, while more traditional fare such as hot dogs and burgers are always available for less adventurous eaters. The North Beach Bar and Grill boasts great views of the ocean and the Tybee Lighthouse, features live music every weekend and periodically during the week, and offers a tasty selection of tropical beverages, making it the perfect spot for island-goers to stop for lunch, dinner or a late-night drink. Located in the trendy Sandfly neighborhood near Isle of Hope, Driftaway Cafe serves up seafood in a cozy atmosphere that features a surprisingly lush landscape with a quaint stream. 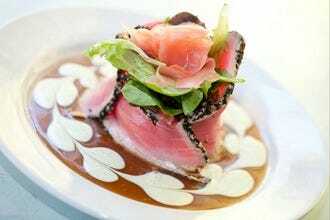 The restaurant boasts a great selection of appetizers, including a fantastic tuna tartare, an ahi seared tataki-style tuna with black and white sesame seeds, diced cucumbers, scallions and a cucumber wasabi cream sauce. The sandwich menu has a variety of choices, including spicy tuna tacos, a Gullah oyster sandwich and a fried, grilled or blackened grouper sandwich. 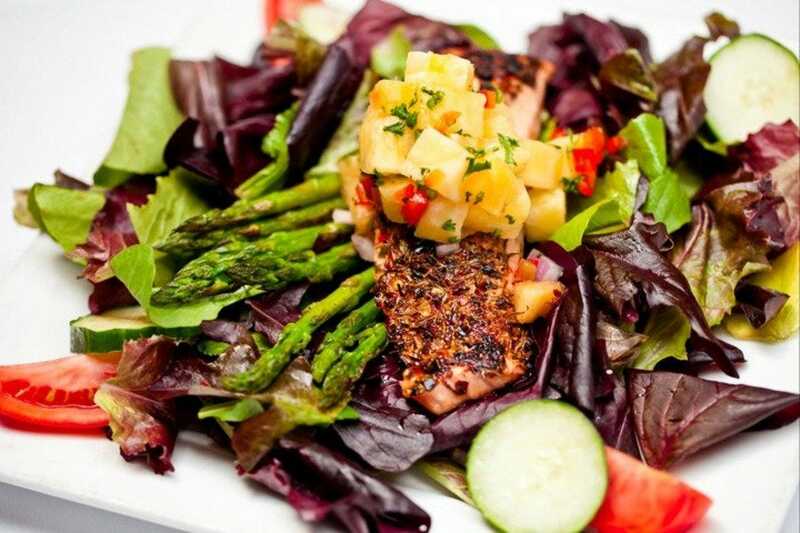 Driftaway also offers a number of classic coastal dishes, including pistachio encrusted salmon, pan roasted salmon and a seafood combo platter with flash fried butterflied shrimp and Gullah fried oysters. There are plenty of sandwiches, salads and entrees for meat eaters, making Driftaway the perfect choice for groups with differing tastes. 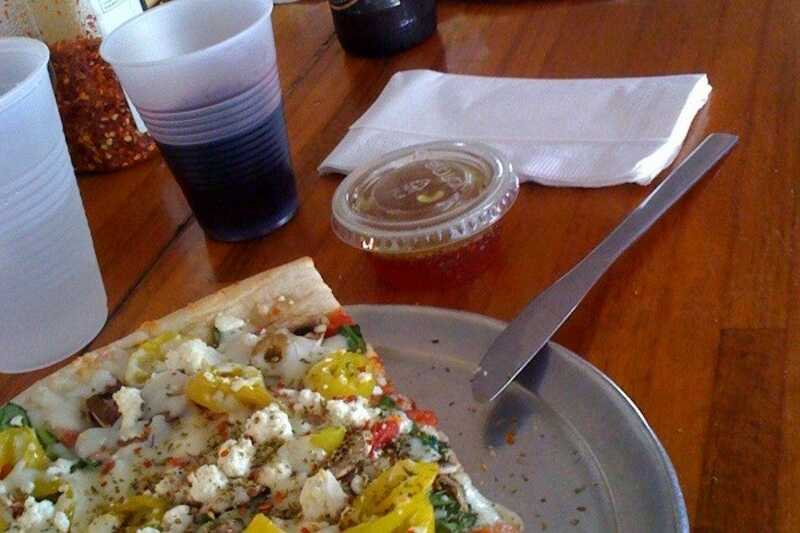 Long considered one of Savannah's best pizza restaurants, Vinnie Van Go Go's in City Market is a popular destination among both locals and tourists alike. 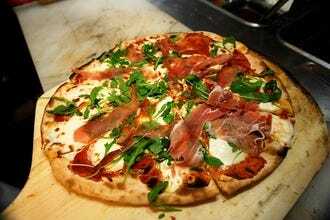 The restaurant's thin and hearty crust Neopolitan-style pizzas can be ordered whole or by the slice and feature an array of toppings including standards such as pepperoni, spinach, onions, mushrooms and olives, along with more adventurous choices like banana peppers, broccoli, sundried tomatoes, pineapple, spicy Italian sausage and more. Vinnie's also offers spinach salad and calzones for those who want something a little different, along with a great selection of beer. The majority of seating at Vinnie's is outdoors, though a few patrons may be able to snag seating inside. 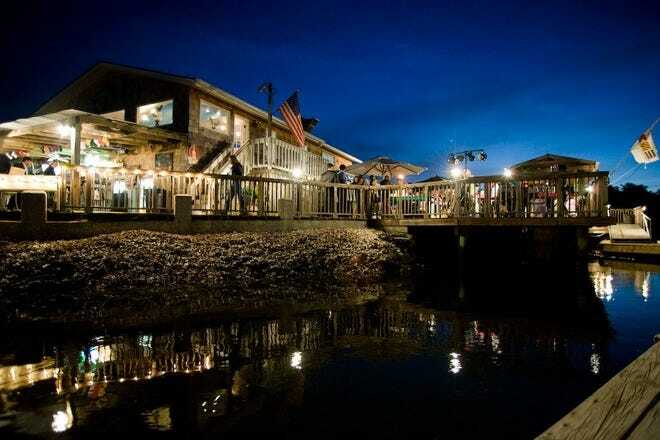 This popular Tybee seafood restaurant overlooking the island's Back River is a favorite among locals, who sometimes come by boat, dock and dine. A-J's offers both indoor and outdoor seating and features a good selection of seafood dishes, including deviled crabs, mahi-mahi and snow crabs. There are plenty of choices for those who don't eat seafood, among them wings, burgers and steak. 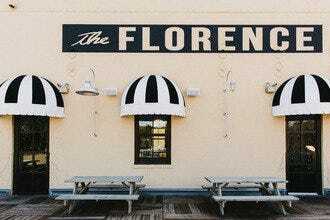 The restaurant holds the unique distinction of being world headquarters for Tybee Island's Bomb Squad, a group that searches for the rumored nuclear weapon that was lost a few miles off the Tybee coast in 1958. Bomb-searching enthusiasts can pick up bomb squad shirts, hats, koozies and more during their visit to the restaurant. Located on the rooftop of the Bohemian Hotel, Rocks on the Roof features gorgeous views of the waterfront and the Savannah skyline. But lovely outdoor vistas aren't the only reason to visit Rocks. The bar, which has a tapas-style menu, draws a steady crowd of locals and tourists who enjoy socializing, sipping libations and watching the sun set. The most coveted spots in the bar are on the patio, and there's plenty of seating to make the outdoor experience comfortable. On those rare chilly Savannah nights, the fire pit provides warmth for guests who still want to enjoy the view. The bar's spacious interior provides additional seating for those who want to stay indoors. 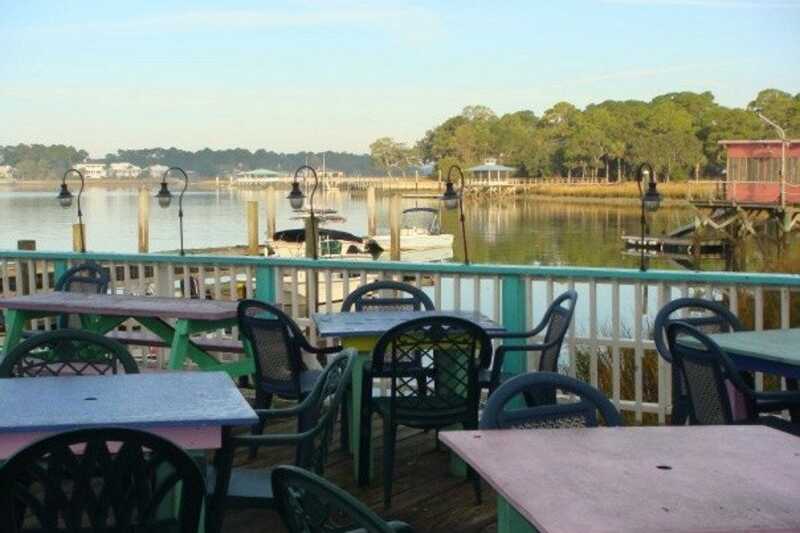 This Tybee seafood restaurant is one of the best places in town to enjoy mouthwatering platters of seafood while taking in scenic views of the area's waterways. A casual restaurant with ample indoor and outdoor seating, the Crab Shack is a seafood lover's paradise, offering heaping platters of boiled shrimp, buckets of oysters and every type of crab imaginable. 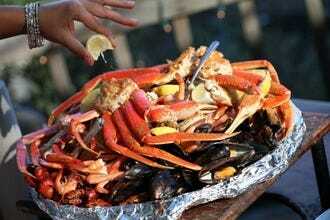 One of the most popular menu items is the low country boil, a feast featuring shrimp, corn, sausage and potatoes. Those who dare go to the Crab Shack and forgo seafood will be treated to authentic Southern barbeque, including pork and chicken. 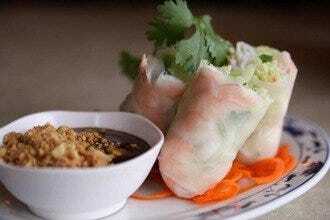 The restaurant, which has been drawing a huge crowd of both locals and visitors for more than two decades, lives by its motto "where the elite eat in their bare feet" and delivers on its promise of a good time, great service and outstanding food.